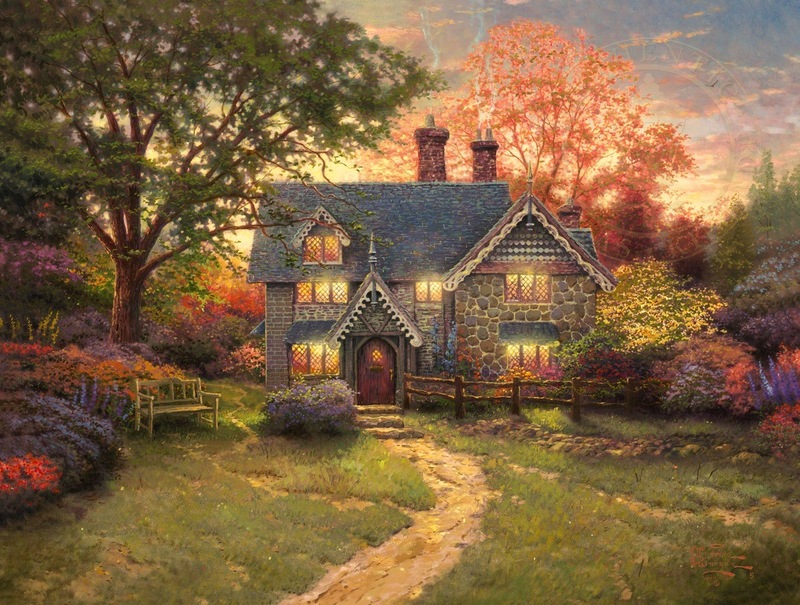 Gingerbread Cottage is based on a real 19th Century house I discovered in Southern England. The whimsical structure with its brick, stone, wood filigree, shingle siding, awnings, dormers, and spires, revels in a spirit of romantic excess. 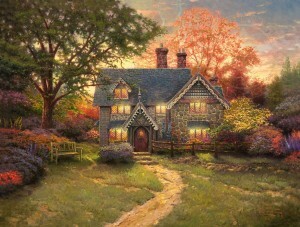 Here is the fairy tale charm of Hansel and Gretel’s Gingerbread Cottage brought to life. The front garden is a riot of rainbow colors with lavish flowers dancing in the evening breeze. I’ve provided a whimsical bench from which you may enjoy the advance of evening at Gingerbread Cottage.